Job management made simple. 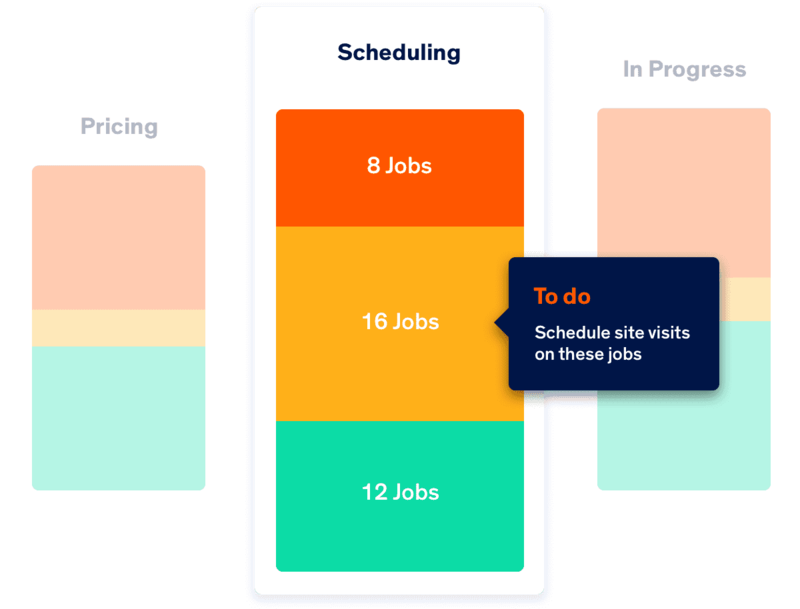 Everything you need to create, manage, and track jobs, all in one place. See the state of your jobs and business at a glance using our colour-coded dashboard. Forget bottlenecks - you’ll know at a glance what needs to be prioritised so you can get the job done and get paid. 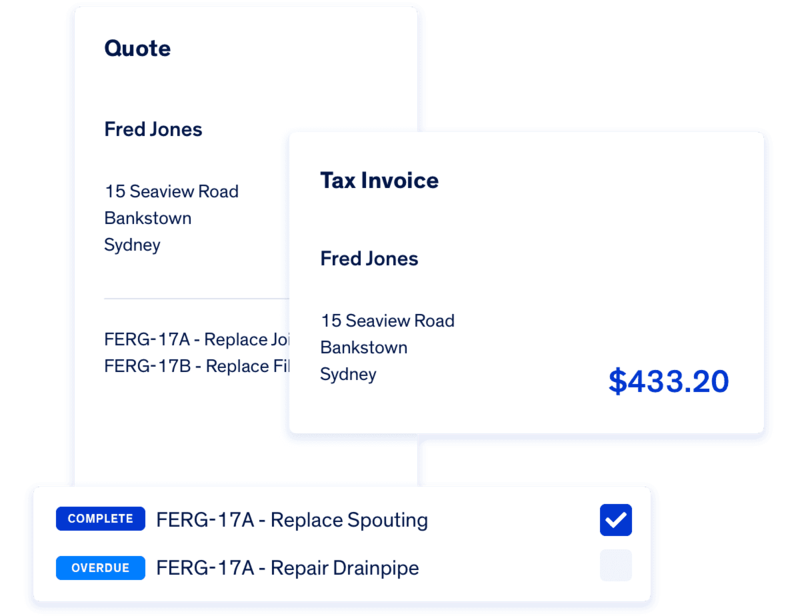 Build jobs in sections to make costs, progress, job scope and invoicing easier to manage. 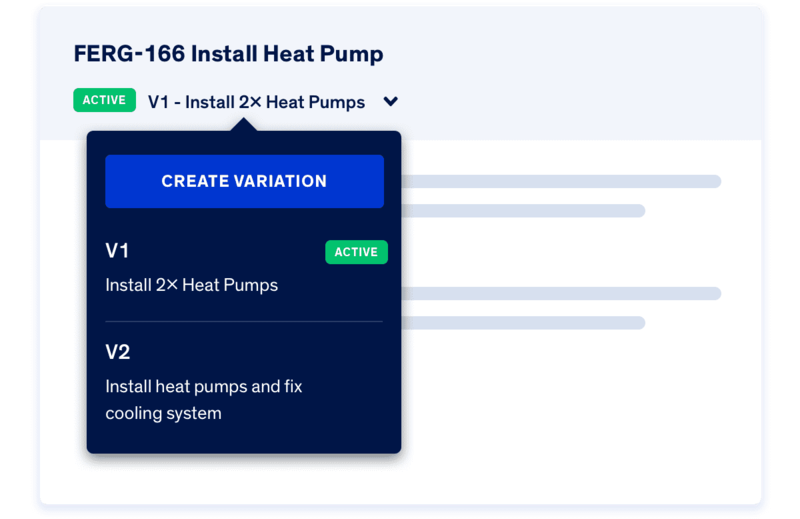 Make a change order or add a variation to a job in an instant. 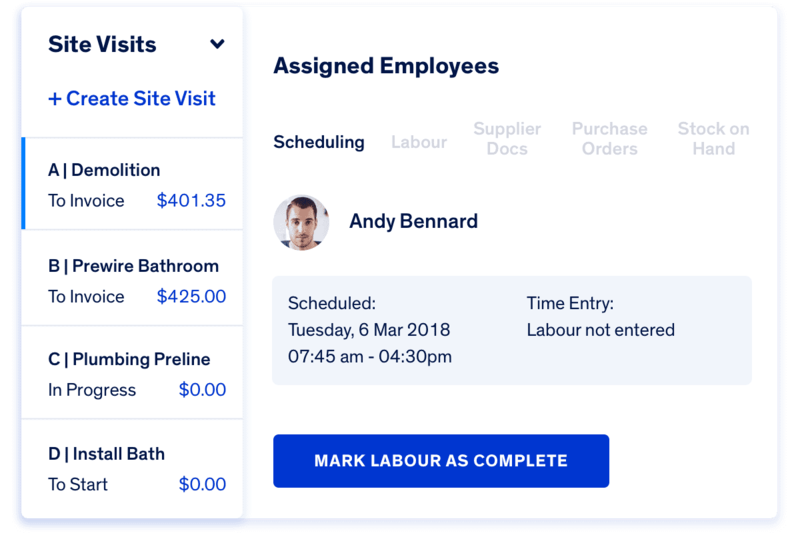 Any additions stay linked to the parent job, making it simple to invoice when the work is done.